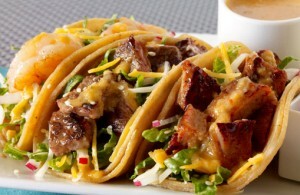 Gourmet Food Trucks: Where’s The Beef (Short Ribs)? – Food Truck Talk – Searching for the best foodtrucks! 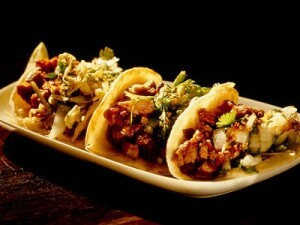 Gourmet Food Trucks: Where’s The Beef (Short Ribs)? 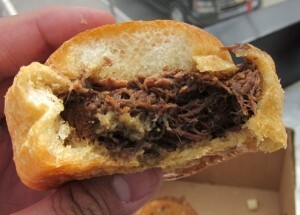 Via Twitter we asked which food trucks had the most outstanding short ribs! We received a variety of responses and thought we would share them with you. After all, who doesn’t like short ribs? (Maybe I should hire Randy Newman to compose a song called Short Ribs, sung to the melody of Short People??). 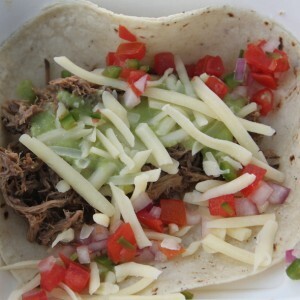 We have to thank @DeeRyan29 who pointed out that “@whereschacha’s does a short rib taco that’ll make you slap yo’ mama!” Cha Cha Chow (@whereschacha) food truck fills a flour tortilla with beef short ribs, red cabbage lime slaw, cheese and of course, Cha Cha Sauce. Hey, with a recommendation like that from DeeRyan29 how can you go wrong? I gotta think that those in Ausin, Texas know something about ribs! 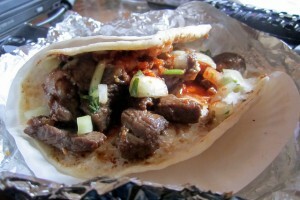 And they do, check out Coreanos (@coreanosTX). 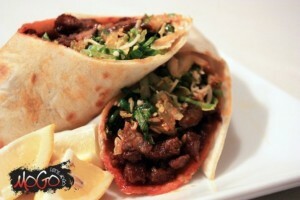 They serve marinated beef short ribs served in a Korean BBQ style taco or burrito. Based on the number of times that Coreanos was recommended I think it’s a good bet they know how to braise! The OG Burrito sounds pretty neat: Marinated beef short ribs, french fries, Korean slaw, onion & cilantro, caramelized kimchi, sesame oil vinaigrette and garlic spread in a burrito! Southern California’s Calbi food truck (@calbibbq) features beef short ribs as part of their menu in both tacos and burritos. Calbi’s short ribs are flavor enhanced with Korean spices. 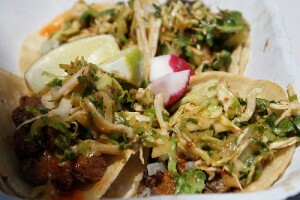 Food truck goliath Kogi @kogibbq) also offers short ribs in taco and burritos! Kogi chops the korean bbq short rib into small pieces then puts them on the grill to creaty a “juicy char” from the carmelization. In the other than Korean BBQ category there are quite a few entries including GastroPod Miami (@gastropodmiami) which presents their short ribs with in true gastropub form as sliders as well as ground up and made into short rib burgers! Also in Miami, the Slow Food Truck offers a “Short Rib n Dip” sandwich with crispy shallots, live watercress, cheese, and au jus (@slowfoodtruck). In New York City Mexicue fuses together Southwest and BBQ to create an Oak Smoked Short Rib Taco garnished with salsa verde, aged white cheddar, and salsa fresca (@mexicue). 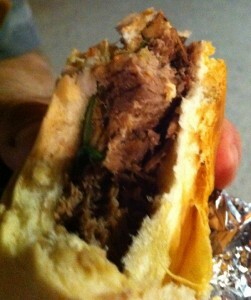 We are sure that there are plenty other food trucks serving beef short rib. Please leave a comment below to recommend your favorite and we’ll add them to our Short Rib Tour!